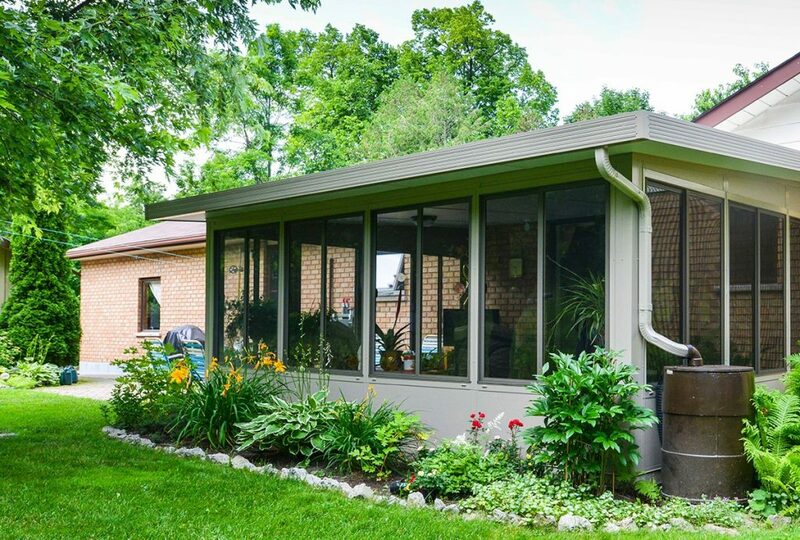 This model is a 3 season sunroom. This room is installed with single glazed glass, gutters and our roof system. The aluminum construction is maintenance free and is durable. 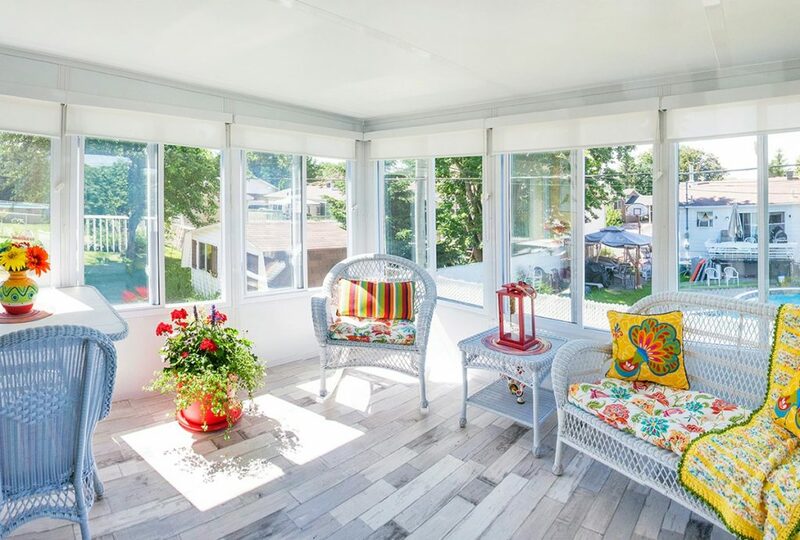 This room can be installed in an existing porch space, patio or deck. You achieve instant square footage and the ability to create a flex space for your lifestyle. 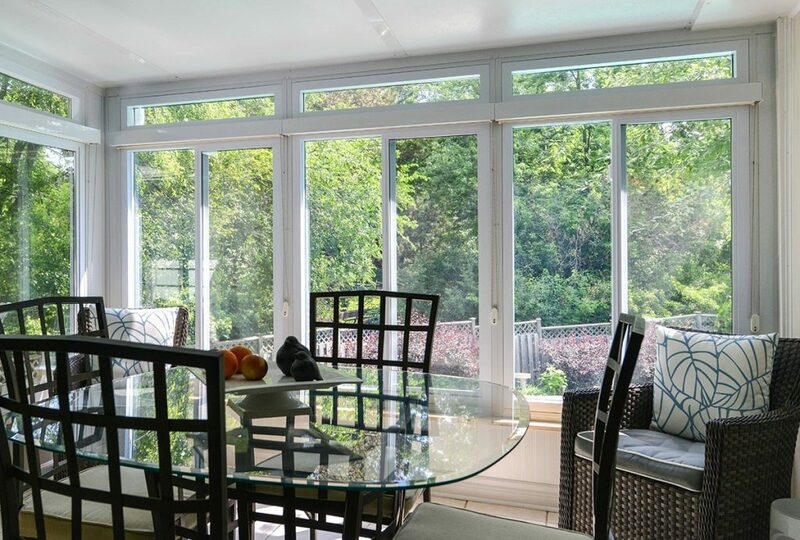 Our sunroom still provides the feeling of being outdoors but offers protection for the elements, pollen and insects.